It’s getting cold as winter progresses, but people’s hearts become cold-hearted as they cover themselves in the fur of countless brutally murdered animals. The victims of winter include fox, rabbit, mink and other furry friends who are made into fur coats, but it’s as controversial as ever following big name brands recently ditching real fur. Animals that are victims of the fur trade are slaughtered in some of the most gruelling ways, ways that often send shivers down people’s spines when they hear the truth about that fur coat. Rabbits are the most abused animals in the fur industry. A staggering one billion rabbits are slaughtered for their fur each year. The rabbits in the fur industry live in small metal cages and are often skinned while they are still alive. That’s the chilling reality for the rabbits. There are also 50 million other animals killed for their fur, including foxes, minks, coyotes, chinchillas and even seals. Minks and chinchillas are farmed just like the rabbits are and also experience a gruelling death. These animals are skinned alive, anally or vaginally electrocuted and gassed to death. That’s what the fur industry does. Foxes are also farmed for fur but some may be trapped in the wild using cruel leg traps by hunters and then shot on site to be skinned for their fur. Coyotes are not farmed for their fur but are instead painfully captured using foot traps and are then shot. It has been documented that some coyotes have chewed off their own paws to break free. Seals are annually slaughtered in Canada each year and despite popular belief it’s really not about food at all. It’s all about slaughtering seals to sell fur pelts. Over one million seals have been slaughtered in Canada over the past five years and despite not being farmed for slaughter, their deaths are just as barbaric and unnecessary. The controversy around fur has been going on for years with animal activists doing everything they can to shut down the fur industry and get every major brand to go fur-free. Animal activists have been protesting outside stores that sell fur, splashing around fake blood or flour-bombing celebrities who wear fur, and even gatecrashing fashion shows. Canada Goose is currently a major target in the animal rights community as that company controversially uses real coyote fur trim on some of their pricey jackets as well as using real goose feathers inside the jackets. Animal activists frequently protest outside the stores and they also confront anyone who wears the jackets in public. In 2018 major brands such as Versace, Gucci, Michael Kors and Furla all announced that they were finally going to go fur-free, with Versace being the most vocal in the announcements. Donatella Versace announced the decision for Versace to go fur-free: “I don’t want to kill animals for fashion.” This statement sent shockwaves across the fashion industry and attracted serious praise from activists. It’s clearly out of fashion to wear the skins of tortured animals and many of the major fashion brands are finally ditching real fur for good; but activists won’t stop until fur is off the streets. San Francisco has recently become the largest city to ban the sale of fur and the British parliament is debating if fur should be banned in the United Kingdom too. Fur belongs on animals and in today’s society it’s shunned because of the cruelty animals must suffer just so someone can look fashionable. We are at last seeing major brands, notorious for using real fur, finally ditch fur in response to years of controversy, as well as some places making the sale of fur completely illegal. 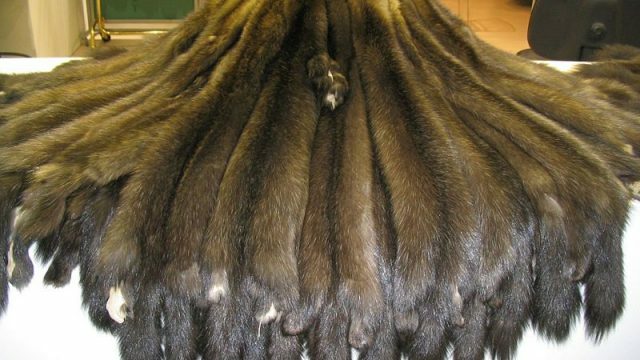 It may be getting colder but don’t allow the chilly weather to convince you that animals want to be made into a fur coat for your vanity. Choose fur-free this winter.